The Junction Creek Stewardship Committee is a not-for-profit organization aimed at restoring life and health to the Junction Creek ecosystem. Learn more about our free, bilingual, hands-on learning opportunities that engage community members of all ages, including school groups. Programs focus on the history of Greater Sudbury and Junction Creek, the flora and fauna of the watershed, and monitoring and rehabilitation techniques used by biologists worldwide. Learn more about restoration activities lead by the JCSC. 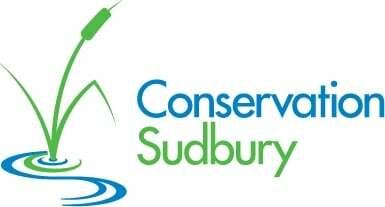 Programs and opportunities include creek clean-ups, tree planting, stream bank stabilization, invasive species removals, and our Adopt-a-Creek Program. Learn more about ongoing and past research projects that help us to better understand the creek system and focus our restoration efforts. Learn more about how we encourage an increased appreciation for the value of Junction Creek, promote long-term stewardship, and foster relationships within the community by holding activities and events, and being a partner in the completion of the Junction Creek Waterway Park trail. Are you interested in getting involved with Junction Creek events? As a not-for profit organization, the JCSC is always looking for help from the community. Join us for a garbage cleanup as part of Pitch-In Canada Week and the Inspiring Green Living Show! Join us for a spring cleanup of Junction Creek to remove litter and plastic waste along the shorelines of our urban waterways! Join us for our premier festival! Trout release, kids games, and a BBQ!